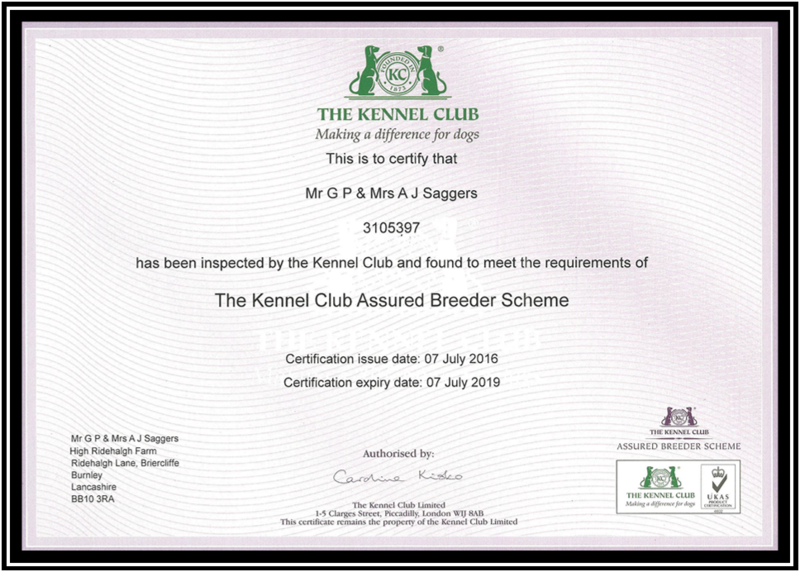 Ensure that all breeding stock are Kennel Club registered. Hand over the dog’s registration certificate, if available, or forward it to the new owner as soon as possible. Explain any endorsements that might pertain and obtain written and signed confirmation from the new owner, at or before the date on which the dog is physically transferred, that the new owner is aware of the endorsements, regardless of whether or not the endorsed registration certificate is available. Follow KC policy regarding maximum age and number / frequency of litters. Permanently identify breeding stock by DNA profile, micro-chip or tattoo. Socialise the puppies and provide written advice, in the Puppy Sales Wallet, on continuation of socialisation, exercise and future training. Provide written advice, in the Puppy Sales Wallet, on feeding and worming programmes. Provide written advice, in the Puppy Sales Wallet, on the immunisation measures taken. Provide reasonable post-sales telephone advice. Inform buyers of the requirements and the recommendations that apply to KC Accredited Breeders as well as the existence of the complaints procedure. Draw a contract of sale for each puppy and provide a copy in the Puppy Sales Wallet. Make sure that whelping facilities accord with requirements for good practice. The Contract of Sale should clearly lay out to the buyer the nature and details of any guarantee given (e.g. Time limit) and/or any provisions for refund and replacement of puppy. If endorsements are being used the contract should clearly state why these have been placed and under what circumstances they would be removed (if any). The contract should be signed and dated by both parties, breeder and purchaser, showing both have agreed to these terms. Commit to help, if necessary, with the re-homing of the dog, for whatever reason, during its lifetime. Follow the relevant breed health screening recommendations.